joy magnetism: There's always room for Jell-O! Hee hee. 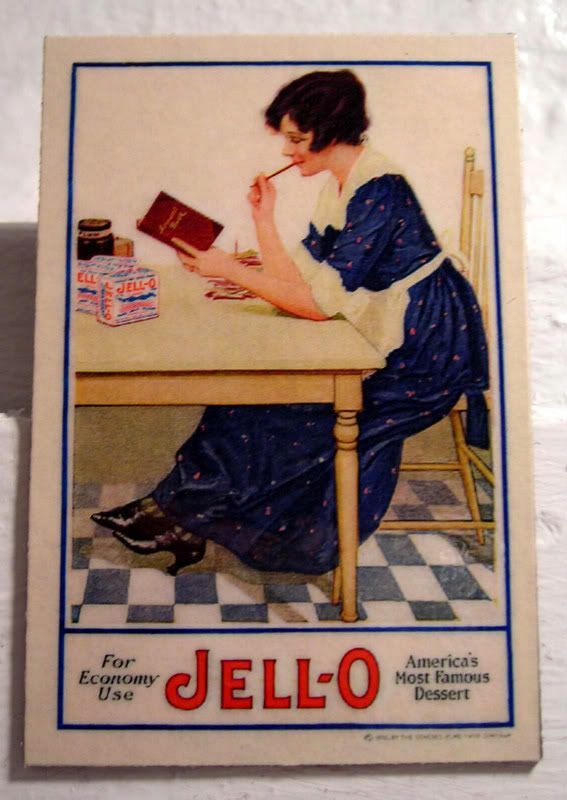 Odd GG Tidbit Of The Day: I was afraid of Jell-O as a child. I don't remember this, but my freak-outs are legendary in my family--I'd see it jiggle and start screaming. Apparently I thought it was alive, and somehow malicious. Heh. I could see where an inanimate object moving would be superscary. OMG, those "Watch it wiggle, see it jiggle" commercials must have scared the bejeepers out of you!